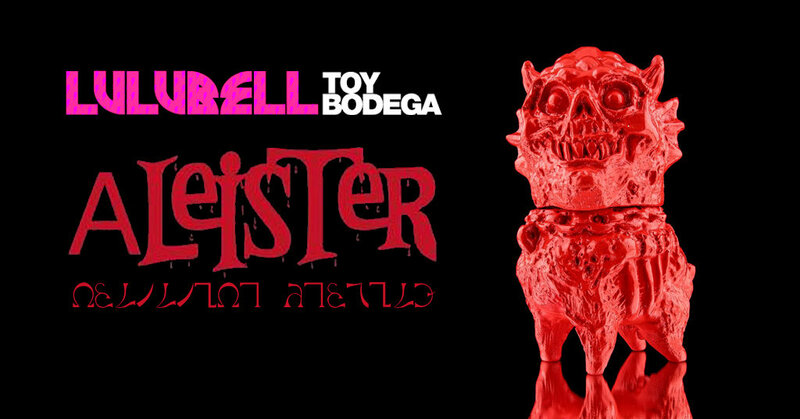 The DevilSKaIju, Dski One, from the one and only Lulubell Toy, introduces his first sofubi Aleister. We’re so happy for him and excited about this. It’s hard to create an original kaiju sculpt and we have to say that Dski One nailed it! Back in 2018 Aleister got just two resin micro runs and now it’s finally a soft vinyl reality. A two-part original figure sculpted by the man himself that will haunt your dreams. Stands about 4.5″ (11cm) tall and comes in a red soft vinyl cast for this first prototype edition. Now it’s your turn to own a superb affordable soft vinyl piece, available to pre-order HERE for only $25.